Caffeine is big business. There are new coffee shops popping up all over the place. You can't go far without running into a Starbucks. "Let's get together for coffee. Time for a coffee break. Coffee pot goes off before my feet hit the floor. Travel mugs for sipping coffee on your way to work. I'll just have this chocolate bar to pick me up this afternoon." Caffeine - It's everywhere! It's everywhere! Many people have grown so accustomed to having their morning coffee or soda that they don't even consider the damaging effects caffeine has on the body. On the contrary, most will tell you that they NEED their jolt to get them moving in the morning or to keep them upright throughout the day. Caffeine is present not only in coffee, but also tea, soda, chocolates and in certain pain relievers, such as aspirin or acetaminophen. It is also sometimes used in combination with an antihistamine to overcome the drowsiness caused by the antihistamine. If you don't think it's addicting, try going off caffeine, cold turkey. See if you don't have a headache for two to nine days. That's caffeine withdrawal! You don't need to be a coffeeholic to experience negative physical symptoms. 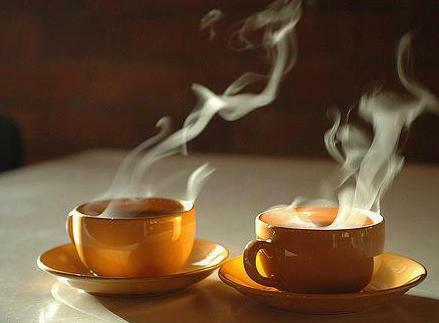 Even as little as one to two cups a day can negatively affect you. You may be experiencing a number of physical ailments that could be caused solely from caffeine. The most common side effects of caffeine include dizziness, headache, irritability, muscle tension, nausea, nervousness, stuffy nose, unusual tiredness and jitters. you don't want that. Caffeine makes all aspects of a menstrual cycle worse. Isn't that bad enough some months? The next time you experience any of the above symptoms, try cutting back on caffeine. That may be all it takes to take care of the problem. Reduce caffeine intake gradually to prevent any symptoms of withdrawal. Cut back on your intake or combine a mixture of caffeinated and decaffeinated beverages until you're totally weaned off. People can, and do, survive ridding their bodies of all caffeine. And they're feeling much better for it!